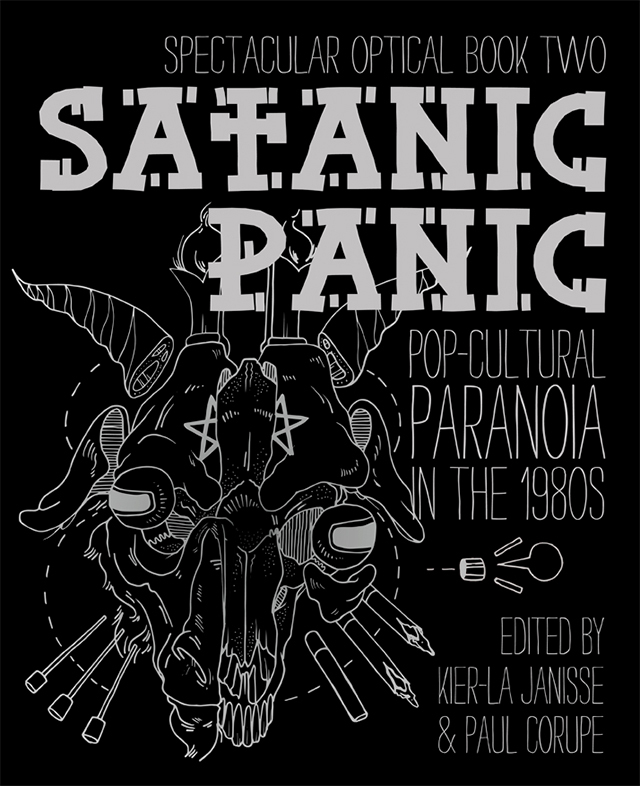 Satanic Panic was initially issued by Spectacular Optical in a limited edition paperback during the summer of 2015. It swiftly sold out, and FAB Press has now taken on the world publishing rights. To celebrate this re-issue they have put together a very limited edition hardcover, for sale direct to FAB Press customers only, so take advantage of this rare opportunity to pick up this collector’s item while it is still available this second time round! a paperback copy of the book. A very limited number of Collector Packs are being issued, and due to the T-shirt being produced strictly to size and style requirements, this offer is valid strictly by Pre-Order FOR ONE WEEK ONLY!